Thanks for visiting our auto tool and repair blog. We have around 20,000 automotive tools for sale at our main site. Within the USA, we offer *free shipping on most orders that total $199 and up. We also have a new discount tool website an additional auto tool and car repair blog at WiseAutoTools.com. Looking for a particular tool but are having a hard time finding it? Leave a comment below including as many details as possible about the tool and we’ll see if we can help. Note that if you need specific specialty tools for a particular job, a repair manual may need to be referenced for the tool numbers. See below for some of our most popular items. 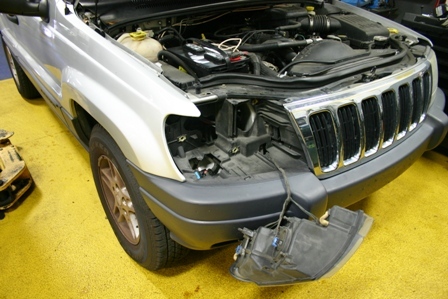 See the Jeep Grand Cherokee inside handle section. 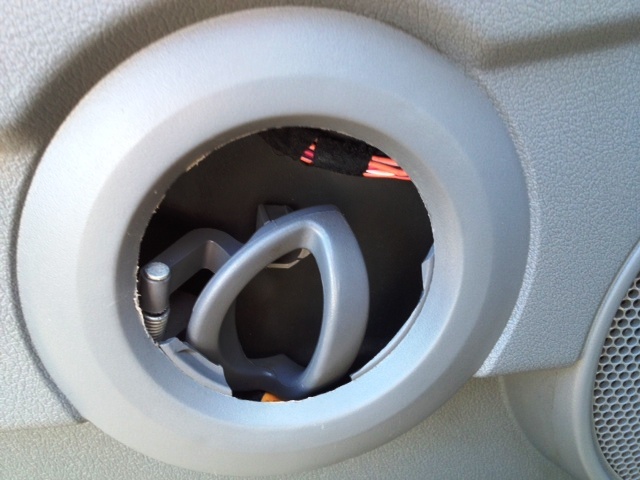 See the Jeep Commander inside handle section. Jeep Commander Interior Broken Door Handle – Solved! I would like to purchase the lisle specialty tool LIS 65600 for removing broken ford spark plugs. Is the Lisle LIS65600 tool available in Australia. Our cars have the same problem with spark plug extraction. We are unable to ship outside the USA at this time. With the exception of US military addresses we do not ship internationally. Most of our International customers have us ship to their freight forwarder that can export the products and answer questions regarding import fees that may be charged. Below is an excerpt of our shipping policies. With the exception of military addresses we do not ship internationally, we will ship to freight forwarding companies within the USA that receive your order from us and then ship to you. It is the customer’s responsibility to make arrangements with a freight forwarding company. Most freight forwarding companies can also advise you of any import fees that may be charged by your country. Provide us with the address of the freight forwarding company of your choice within the Continental United States. Also, we only accept credit cards issued from US banks or payment through PayPal. If you are not in the US and do not have a US issued credit card or a PayPal account, DenLors Tools will accept a wire transfer for the full amount of the order including a $15.00 wire transfer fee for payment. After you have provided us with a US “ship to” address we will email wire transfer instructions to you. will the spark plug removal tool for ford work on a 99 f150 with a 4.6 or is there a tool for fixing the spark plug problem with them? Justin, the removal tool (LIS65600 DLT) is only for 3V engines starting around 2004 and up. NOT for 2V engines prior – usually theres not a problem removing the regular plugs found in the older models. See the link below for more repair information. I received the Lisle LIS65600 tool in record time! Many thanks. The broken spark plug removal (on #3 and #7 cylinders) went easily after giving a good soak with Kroil (penetrating oil). Diesel fuel would probably serve just as well. You just have to go slow and not use power tools in the process. Ease the wrench/socket use with small and steady movements. Tom, Happy to hear it – glad it worked well for you. Your Lisle tool solution might have worked TOO well! Got sucked into doing another plug change in another 3-valve Triton for a neighbor, impressed with my success on the first (Ford 2004 5.4 L). 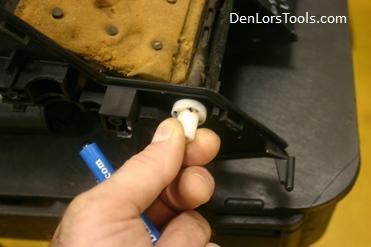 Again, two broken plugs successfully removed with the LIS65600 tool. I had reservations about the Rotunda method of using Super Glue and consumeable tips, and have absolutely NO regrets with the Lisle solution! Be sure to use NICKEL anti-sieze on the new plug barrels (as recommended)to make future removal easier, and use penetrating oil or diesel fuel to pre-soak the plug wells in order to ensure better chances of success. Worked for me… twice! HIGHLY RECOMMENDED as a cheap solution to a potentially major problem. Again, Many Thanks! I have a 95 Ford Aspire that the threads came out with the plug, does the calvan go small enough to fix the stripped hole on my 1.3 engine? Dave, The Calvan spark plug insert kit is NOT for your size engine. The good news is that we do sell a Time-Sert kit that will work for your application. See the 4412E and note that the spark plug inserts are sold separately. You will need the 44111 inserts to go along with the kit. On a less serious note: I’ll skip the joke about your name “Dave Thomas” and Wendy’s founder being the same… I’m sure you’ve heard them all! GETTING READY TO CHANGE THE TIMING BELT ON 1998 CHRYSLER SEBRING 2.5 6 CYLINDER MITSUBISHI ENGINE. WHICH TOOLS THAT YOU SELL WILL ALOW ME TO ACCOMPLISH THIS. I READ OLDER POSTS AND WILL REPLACE WATER PUMP AND TENSIONERS AND ANYTHINMG ELSE THAT NEEDS TO BE DONE. JUST WANT TO GET ALL MY DUCKS IN A ROW BEFORE STARTING. ON ANOTHER NOTE I’M GETTING READY TO CHANGE OUT AXEL ARM, RADIUS ARM AND OTHER RELATED PARTS ON 1996 FORD E-150. ANY SPECIAL TOOLS THAT WILL HELP THAT JOB? Loren, Most of the time info about special tools needed will be found in a repair manual. Thanks for visiting our site. Hi there I have the same problem on a 2005 ford king ranch 48800 miles the center piece stayed in the block and the threads & collar came out the porcelain piece is intact. Where can i get the lisle 65600 tool? Thank you. Alfredo, we sell them at our main site – click the link below. Mehrl, It can be done without the tool. see our blog for more info. Are you able to help me find a upgrade for my Mac Mentor Scanner? Right now, I’m at 2.0 and need to add to it fast. Jerald, The Mac Mentor is a Genisys with Mac’s branding so the Genisys software will work. See the following link. Software update. 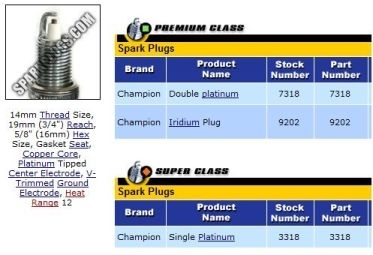 Arlene, In looking up your spark plugs on championsparkplugs.com, I see only one engine size – “1.8” and those plugs are 14mm. Based on this information you need the (click on the part number) TIME-SERT 4412E and insert number 44111 with gasket (AKA washer) seat. Note that the inserts are sold separately and are linked on the 4412E kit product listing. I need the kit for a 1997 Honda Accord 2.2 V-tec engine. I need to fix the spark plug hole that got cross threaded. Can you tell me what I need? Thanks. NGK platinum plugs. Thanks for the inquiry. I’ve looked up your spark plugs and found the size kit needed for the repair. You have 3/4″ (19mm) reach plugs which are 14 x 1.25mm. The plug uses a “gasket” or also known as a washer and NOT a taper seat. The insert needed is a Time-Sert 44111 DLT. Either the 4412 or the 4412E can be used to install the insert. See the descriptions describing the differences in length of the tools in the kits. See the following link for the insert and note that the 4412 and 4412E kits are linked a the bottom of the insert page. Click the image to go to the product listing. I installed the kit by the instructions from Time Serts website and all went exactly as they said it would. If anyone is hesitant to repair a cross threaded spark plug hole, then rest easy and try this product! My car is back on the road after about an hour and half of work isn’t misfiring anymore. Thanks for your invaluable help Dennis! Joel, thanks for the great feedback. Glad everything worked out well. Just wondering if the blown plug kit would work on a 1998 chevy tracker? Randy, the Calvan 38900 will only work for Ford Taper seat plugs. The Time Sert 4412 (or longer reach 4412E) with the 44111 insert will work for the Chevrolet Tracker with 14mm by 1.25 pitch and washer seat plugs. If the ports have been repaired previously a Big Sert kit should be used which is over-sized (on the outside diameter). The Big Sert Time Sert Kit number is 5141S (or 5141E for longer reach) used with the 51407 insert. Any questions let me know. Good Luck. Need a spark plug repair kit for a 1994 Honda Prelude SI.The plug well is very deep (5.75″ ) and the plug thread length is about 3/4″. This means I need all tools to be longer than 6.5″. Do you have this? Or is there an extender that fits the tooling that will still be small enough (the well diameter is very small, I guess it;s less than one inch. I think my plugs are M14X1.25, please verify? Jean, yes you have 14 x 1.25mm. I assume your ports have never had a previous insert installed, which means you don’t need the over size kit, also called Big Sert. The recommendation below is for a “first time” repair. The longer/extended kit is needed, that reaches 8-9″ with the extension wrench (with T-Handle) supplied. The diameter of the extender is around .60″. The kit number is 4412E, the “e” stands for extended be sure not to get the shorter kit which does not have the E on the end. The insert number is 44111. It’s for the washer seat plug, 3/4″ reach 14×1.25. Good Luck. I have a 2003 Range Rover HSE with the BMW 4.4L. It has a spark plug stripped out of the aluminum head and has never been repaired. Do you sell a kit to replace the threads? Thank you for your time. Adam, you need the 4412E and the 44111 which will work together for the 14mm size spark plug with 1.25mm thread pitch and 3/4 reach. Let me know if you want us to ship this out today, both in stock. You may also place the order on our website. Stripped spark plug in 1990 mazda 1.6 L – A helicoil was previously installed….. it blew out three years later – what are my optioins? Hello Jim, the Time Sert 5141E and the 51407 washer seat type insert is what I recommend. It uses an over-sized insert called a Big Sert which can repair spark plug holes that have been previously Heli-Coiled. 2007 Dodge Caravan – Spark Plug blew on my wife’s way to work. Threads apparently are stripped. Quoting enormous repair cost. Is there an insert that might correct the problem? Just need size engine so I can look up the spark plug and go from there… OK after looking up the 3.3 and the 3.8 engines for the Grand Caravan I see they are both 14 x 1.25 mm tapered seat (not washer seat). So if this is a first time repair meaning no other repair attempt like the use of a Helicoil has been done, a 4412 kit and a 44186 insert can be used. Click the following to go to the Time Sert 4412 Kit. Hi Guys: sparkplug blew out on my 1997 Dodge Grand Caravan, 3.3L engine. I do not see it listed under your stripped spark plug threads part 44111 autos. Can you guys tell me if you have the part that will fix this for me? Thanks, Steve. Steve, you were on the right track. The 44111 is the correct insert for your application, if there’s never been a different type of repair used like a Helicoil Thread Saver etc. You will be able to install that insert with either the 4412 or the 4412E. Let us know if we can assist further. Hey Curtis, that’s great. We appreciate you taking time to let us know how the tool worked out. Glad it worked well. I need to repair a spark plug thread on a 2004 Chevy 5.4L motor. What would you recommend? Mack, I’m not seeing a 5.4 available for a 2004 a Chevrolet, when I try to look up the spark plug. I see a 5.3. If that’s what you have and it’s a first time repair, you can use the Time Sert 4412 with a 44186 taper seat insert. Which spark plug thread repair kit and spark plug insert should I use for a 2002 Mitsubishi Mirage DE? Al, the 2002 Mitsubishi Mirage could have a 1.5L or a 1.8L engine. Both engines use an M14x1.25 spark plug with a gasket (not taper) seat. For a first time repair, meaning there has not been a Heli Coil or some other failed insert that came out and made the hole bigger; you could use the Time Sert 4490 or the 4412E-111 Time Sert kit. The insert to be used would be the 44111 which is included in either kit. For a Second time repair after an insert has failed making the hole bigger, use the Time Sert 5553 with a 51407 insert or the 5141E Time Sert Kit with a 51407 insert. Tell us your thoughts or ask a question. For best results please provide relevant details like your vehicle's year, make, model, engine size, the problem and when it occurs etc. - Comments need to be approved before they are seen by everyone. Notice we don't post Spam. Comment below (*SPAM, ALL CAPS & unrelated comments will be deleted). Click the following to view Dennis' "about page" for info on his background in automotive repair. Please note: Your comment will not be posted until it's approved. We appreciate and read all on topic, relevant comments. Please don't ask for repair manual info like torque specs, wiring diagrams and specific repair procedures. If quick assistance is needed with purchasing a tool or part, please visit our tool website DenLorsTools.com or call to place an order at 800-524-9783. *Note we don't offer repair advice on the phone.